It’s my birthday! Well, not really. It was my birthday last Sunday but I am still celebrating. Christmas and birthdays mean more cookbooks because, you see, I am at that stage in life when I not only have everything I need, but everything I want. 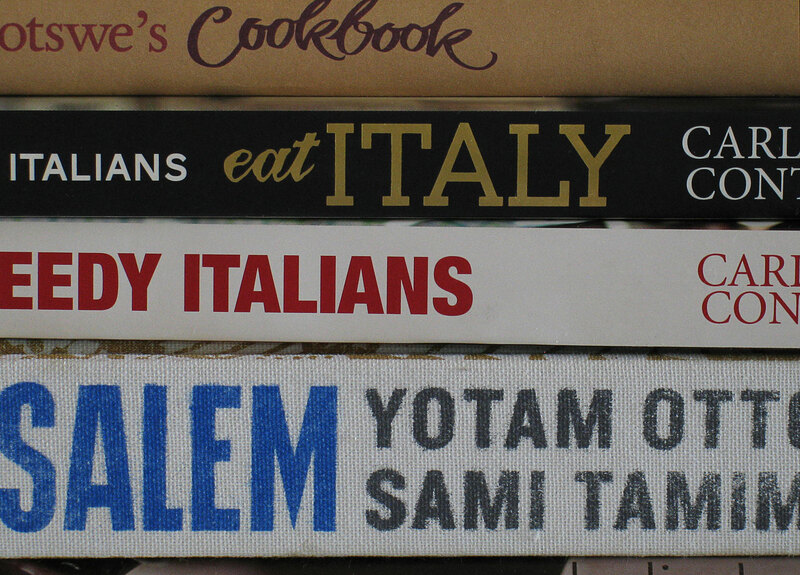 But that is not quite true… one can never have enough cookbooks. As a consequence, friends and family resort to cookbooks as presents… and I am glad they do! I got some beauties this year but one, in particular, was a bit special. Not only are there fine recipes in it but there is also lots of life-changing advice for the “traditionally built woman”. 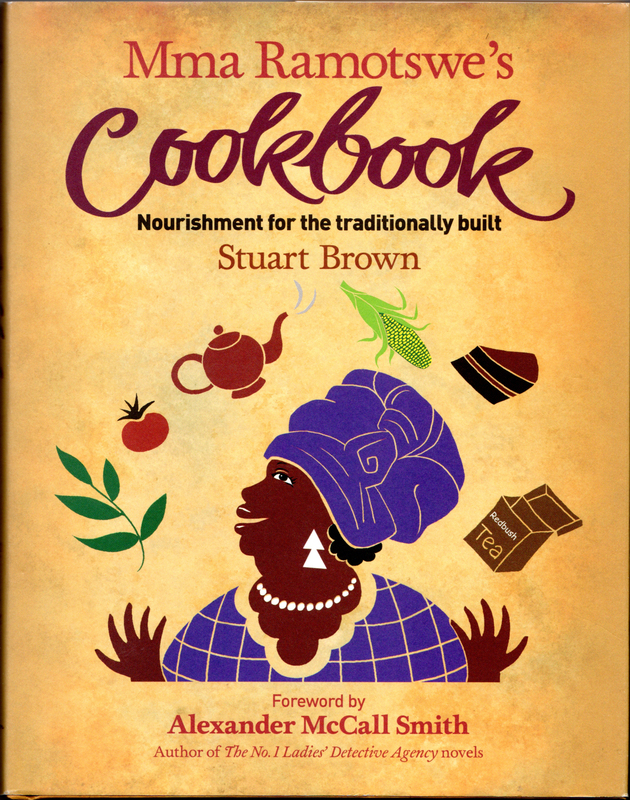 If you are wondering what I am rabbiting on about, it is, of course, Mma Ramotswe’s Cookbook: Nourishment for the Traditionally Built. My favourite piece of advice is an excerpt from Blue Shoes and Happiness. It is a conversation between Mma Potokwani and Mma Ramotswe. So just remember, if you are traditionally built (well known or not) it would be very unkind of you to go on a diet. Given this advice, I have scrapped all new year resolutions. Who wants to be unkind? The book has lots of wonderful recipes, my favourites being Mopane worm stew (there are also explanations on how to dry and boil them) and Violet Sepotho Tail (which recipe requires 1lb of crocodile tail). Additionally, there is a multitude of choices on how to prepare pumpkin. I am sad to say that many of the ingredients may be a bit difficult to get in Perth but for lovers of The No.1 One Ladies’ Detective Agency novels, you are in for a treat. There is a recipe for the Persuasive Fruitcake that Mma Potokwani uses to entice Mr JLB Matekoni to fix the orphan farm pump and an explanation of the significance of redbush tea and donuts. If you are a lover of the series or a collector of Botswana cookbooks (I have to admit, it is my first), then you will love Mma Ramotswe’s Cookbook. It even has a forward by Alexander McCall Smith. “Good cooking makes people happy … And it makes them full.” (The Miracle at Speedy Motors). This entry was posted in Rants & raves and other fun things and tagged Alexander McCall Smith, The No1 Ladies' Detective Agency by Glenda. Bookmark the permalink. Tania was the shop the one next door to Kakulas Sisters? If so, I went in there one day when I was at Kakulas. I didn’t buy anything as I didn’t know what to buy. It may be easier with a recipe in tow. Yes that was the one. I didn’t go in as I was just quickly dashing into Kakulus Sisters but was interested to see it there. Hi Tania, I should visit it again. I can’t even remember what I was looking for when I went in. Blog land seems to be made up entirely of Capricorns ( me too ). Happy birthday Glenda from a fellow cook book tragic. Nourishment for the traditionally built sounds like great food for the soul, you’ll love “Jerusalem” to feed the body!! Hi Ella. Thanks for the birthday wishes. I’d say happy belated birthday, but since you sound like me & celebrate your birthday month, I’ll just say Happy Birthday Glenda. Can’t go wrong with adding to the cookbook collection. Now I’m the opposite of the traditionally built and have been struggling to pack on a quite a few more lbs. Funny thing is, I probably feel the same way when people say things about my weight (you’re sooo skinny!) as when people say things about those who are overweight. I propose we just don’t notice people’s weight & eat, drink & be merry…can’t go wrong. Lovely thought Diane. I can’t think of anything better. Happy belated birthday Glenda. What a wonderful gift this book is and clearly filled with lots of sound advice. Lovely! I will check out the book (add it to my list at any rate). We loved the No1 Lady’s Detective Agency! Hi Pat. I am with you. Who wants to be unkind? I loved the books too. There is a new one out soon, I believe.